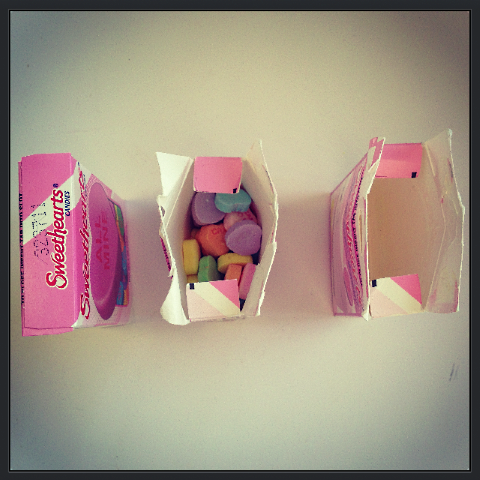 According to the food tracking service, we're 3,777 percent more likely to eat candy hearts on February 14th. 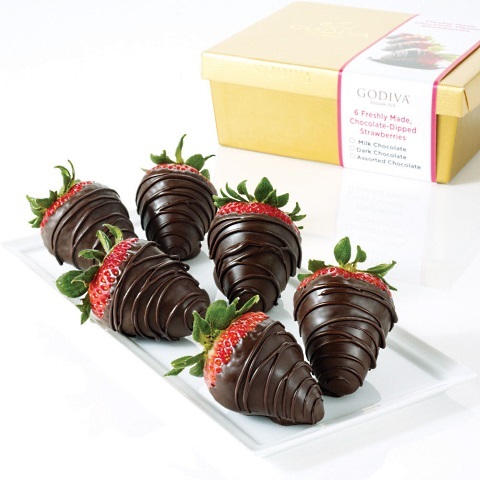 We all get random cravings for Valentine’s Day staples like chocolate, bubbly, and lobster from time to time. But be honest: Do you ever get to the point where you just can’t live without some of those Necco Conversation Hearts in your mouth any other time of year? The New York Times did a little investigation into our relationship with the food and drink of V-Day. Using food data gathered from personal fitness tracking site MyFitnessPal’s users, the Grey Lady made a few intriguing discoveries. Americans are 3,777% more likely to eat candy conversation hearts on February 14th than any other day of the year. In February 2014, 1 out of every 470 entries logged in MyFitnessPal was about candy conversation hearts. For the other 11 months of the year, that number was 1 out of every 11,500 entries. A one-ounce, 36-count box of Sweethearts contains 110 calories, which is the median number users logged on MyFitness Pal. However, one 2014 user logged 1,280 Sweethearts calories in a single day. For all of 2014, there were only 75 days where absolutely no MyFitnessPal users reported eating candy hearts. 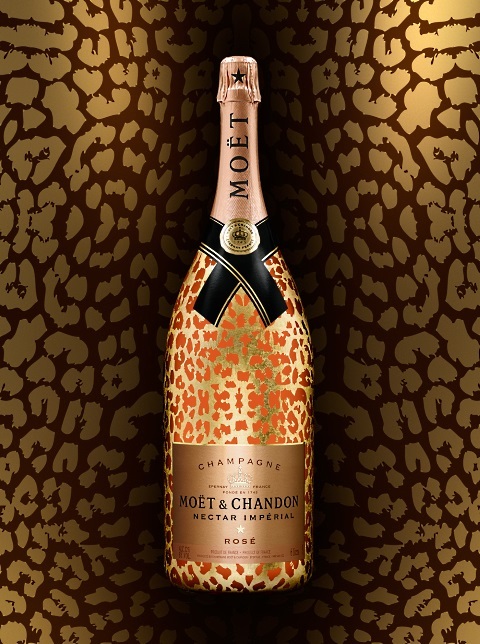 MyFitnessPal users reported consuming 208 percent more champagne than normal on February 14th. We just wonder how that data compares to bubbly consumption on December 31st. 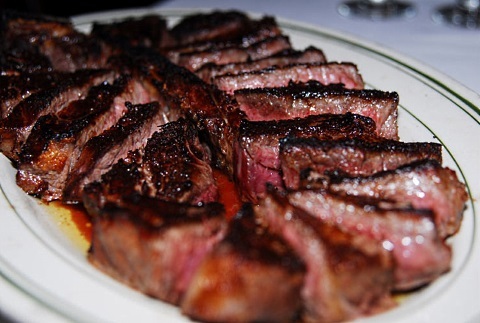 Steak consumption on Valentine’s Day goes up by 52 percent. We’re only surprised that number isn’t higher. What’s more traditional and romantic than a beautifully aged and prepared hunk of cow? 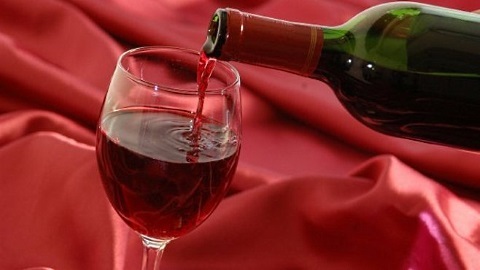 Wine consumption goes up by a whopping 78 percent. There are definitely worse aphrodisiacs with which to wash down all those other aphrodisiacs on this list. 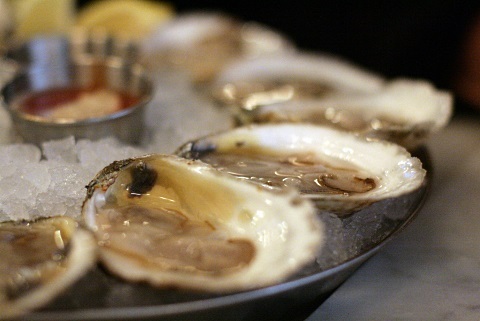 Oyster consumption, by comparison, only goes up 57 percent. We love them, but they’re definitely the most divisive food on this list. Chocolate consumption in general rises by a mere 36 percent. However, consumption of things dipped in chocolate rises by an astronomical 323 percent.